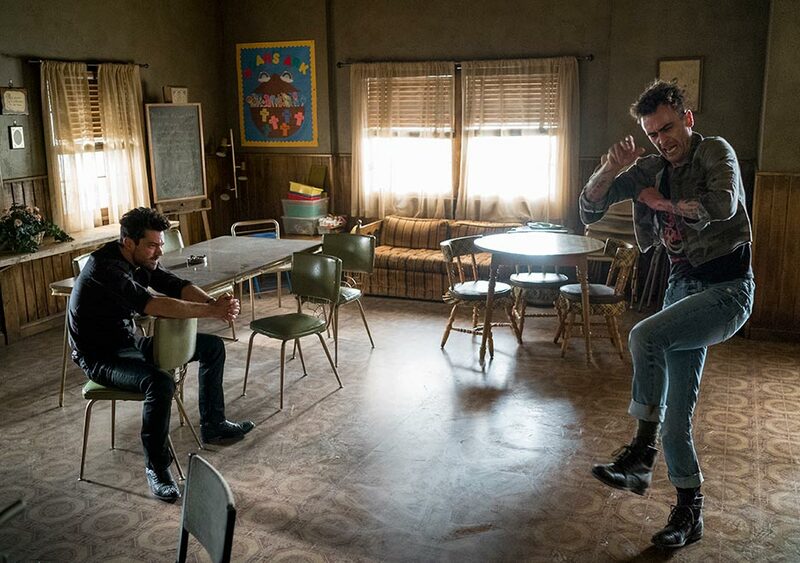 Three episodes in and Preacher is now in the position of showing us what episodes will be like week-to-week. “The Possibilities” lacks some of the strengths from the first two episodes, which went gonzo with showing off all the potential and craziness that comes from adapting the graphic novel for television. That said, this episode does allow for a little more development of key characters as well as several solid monologues to have us continuing to appreciate the casting and mood of this series. After sitting out for a lot of last week, Tulip gets more to work with by way of talking herself out of a ticket (or killing a patrolman) as well as hinting at the past shared between her and Jesse. 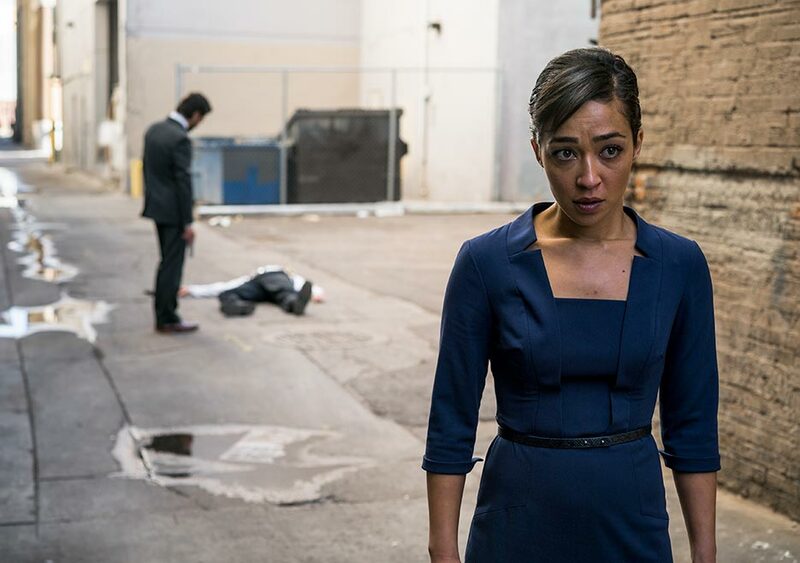 The work she does in an effort to keep herself from going to the extreme of shooting a policeman is fine work from Ruth Negga. After having the show introduce her in the pilot by way of MacGuyver’ing her way out of a situation by building a bazooka from scraps, a deep dramatic monologue goes a long way of showing us a different side of her. As far as her history with Jesse goes, this show still has some explaining to do, but the quick flashbacks give us quite a bit of information. Someone named Carlos betrayed the duo in some way and Tulip currently has a way for her and Jesse to get back at him. Of course there is a complication in the form of Jesse’s vow to his town. 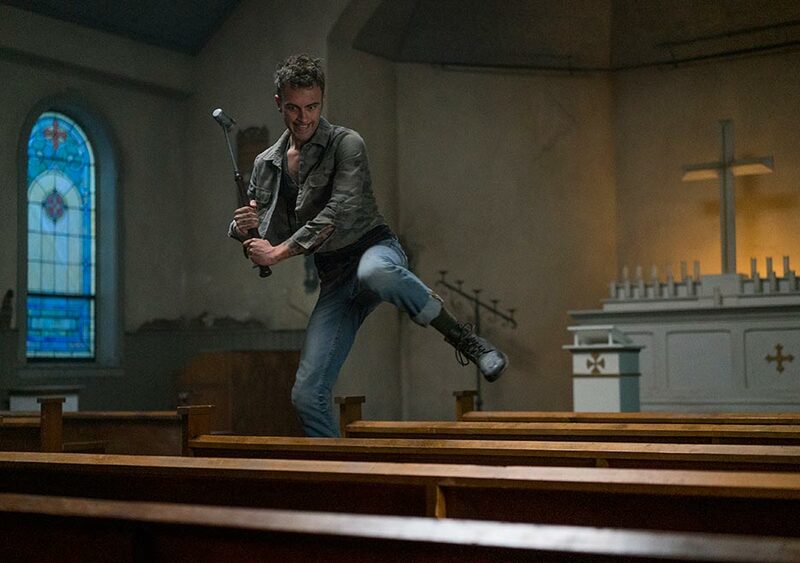 While Preacher still seems to want to relish in how much stuff it can throw in the wall, hoping the audience will stick around to see what the payoff for this madness will be, the key figure in all of this will be Jesse. Much of the episode revolves around him continuing to understand his powers and how they can play a role in his personal philosophy and faith. Some of it is fun (see: Cassidy hopping) and some of it is all kinds of tense (see: Donnie in the bathroom stall). What matters is how Jesse decides to deal with an unnatural ability to control others. I want to get back to that and shift focus to these side characters. Donnie was initially seen getting beat up by Jesse in the pilot and we found out he was the right-hand man to the mysterious Odin Quincannon (Jackie Earle Haley). This week, before getting beaten by Jesse again, Donnie takes his son aside to talk about why he hurts his wife. It’s an awkward conversation, but given all that happens in this episode we start to see strange layers forming. W. Earl Brown is given similar shading, as his role as Sheriff Root is all kinds of complicated. He has stories to tell and he tells them very well. We don’t quite know everything about how his son got to be the way he was, but we know the Sheriff has mixed feelings about how to treat him. It is all clearly building to something, but given how far away from the comics this story is straying, it is hard to say what. That is not to say the show should be handled a certain way in order to appease only the comic readers, but given what I know about this series, it feels like whether or not you are a reader, the show should have stablished some sort of clear goal. Instead, we have a lot of weird character work going on, which is entertaining, but somewhat monotonous, given the lack of a clear arc in progress. We are only three episodes in, so I can’t say the show has stalled and has nowhere to go, but it would help to know if all these quirky characters are going to step aside, so Jesse, Tulip and Cassidy can finally get out of town and do something. Of course, with Cassidy currently making a deal with the strange men who have some involvement with heaven and a higher power, we may be sticking around a little longer, before any big shifts are taken to get us out of Texas. Speaking of which, Cassidy doesn’t get to have as much fun by way of action as he has in the past two episodes, but he is still a riot to be with in general. Between being a lazy maintenance worker for the church and questioning why Jesse and the strange men are the way they are, Cassidy has plenty of curiosity and possible answers for all. Getting back to Jesse, this week I felt like Dominic Cooper was really in with what this character has in store for him. He’s been good so far and while there are complications to come, it seems like Cooper really knows how to invest with what he’s being given. This is great, because having a character shift from wanting to take on a revenge mission to diving right back onto the path he has chosen to be good is a complicated task. Now we just have to make sure he doesn’t wind up spilling whatever is in him into a coffee can. “The Possibilities” dials things down a bit, compared to the last two episodes, but it is still incredibly watchable and entertaining. This show needs to get a handle on what the drive of the narrative is supposed to be, but at least it has three great leads to keep it anchored. 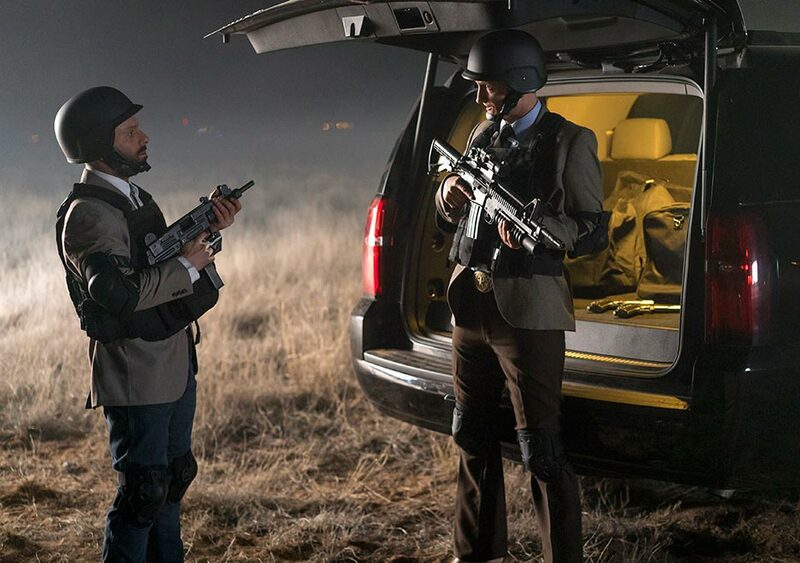 It is also clear that while Seth Rogen and Evan Goldberg only directed the first two episodes, they have established an atmosphere that is being kept up and remains quite effective as a whole. Given the wackiness of the source material, maintaining its look bodes well for the series. So Preacher now has a fancy intro title sequence. Donnie is now called the Bunny Man by kids. Poor Bunny Man. The creepy bus driver has forgotten the person that made him so creepy. Jesse’s word is a strong one. Odin Quinncannon is quite mysterious. This week we are introduced to him, as he sits and admires what I can only assume is a factory full of cows being slaughtered, given what he is in charge of and the sounds being heard. 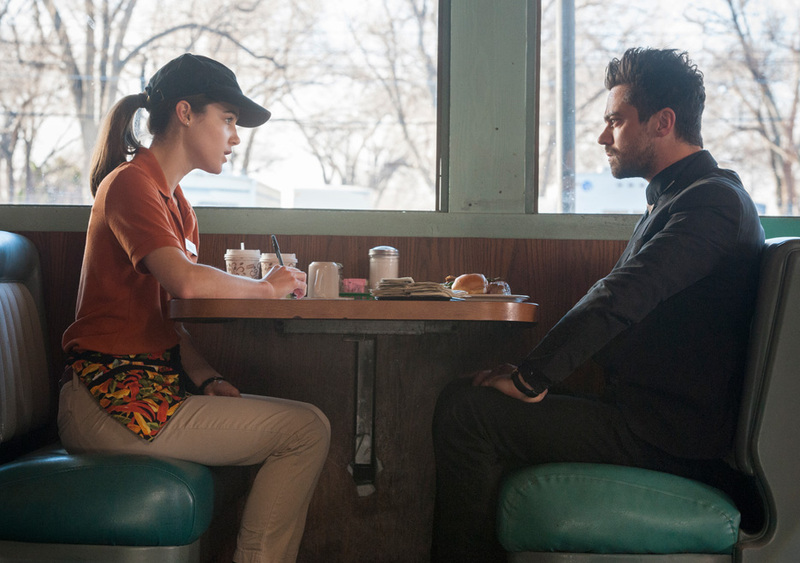 Cassidy’s theories on Jesse’s powers: It’s something like John Travolta’s power in Phenomenon, it’s something out of The Bourne Identity, or Jesse’s a Jedi. Cassidy’s initial thoughts on seeing the same men he killed again: Clones. Tom Cruise’s death on this show gets a call back via TV news story titled, “Losing Cruise: Emotion Impossible”. Previous ArticleQueens Landing Episode 8: Game of Thrones 6x8 "No One"